One of my favourite high street stores, Primark, was in BIG trouble last week for selling padded bikini tops for seven year old girls. They decided to withdraw the bikini after being criticised by politicians and children's charities. 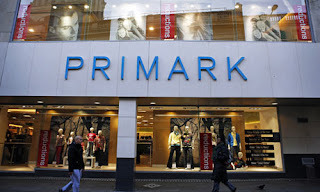 A spokesman from Primark, "Primark has taken note of the concern this morning regarding the sale of certain bikini tops for girls, a product line that sells in relatively small quanities. The company has stopped the sale of this product line with immediate effect." Even politicians were dragged into the controversial issue. Conservative leader David Cameron stating on BBC London radio, "There is a classic example today where Primark are apparently pushing padded bras on seven-year-olds, which I think is completely disgraceful." Gordon Brown also backed the campaign to have padded bikinis removed. The £4 bikini comes in pink with gold stars or black with white polka dots and was a popular part of the retailer's swimming costume range. 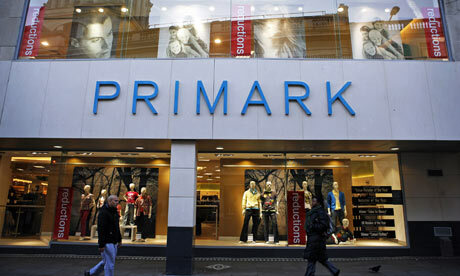 Primark sensibly decided to dontate any profits from the bikinis already sold to a childrens' charity of their choice. The most worrying thing about this story is that there are parents who have bought their children inappropriate clothing and then criticise the retailer for selling it. Where on earth is the logic in that?! As much as the retailer should be criticised, shouldn't parents be criticised too? Celebrities, music, television, films, books, magazines, teachers, peers, are always put to blame. Yet, why is it always everyones' fault except the parents? When are parents going to act like parents and take responsibility for their children? Instead of shifting the blame elsewhere? Yes, Primark should be thoroughly ashamed of themselves for selling a product such as this. And the media, celebrities, music, films, magazines etc are all equally to blame. Nowadays children are over-exposed to sexual imagery, films and music, particularly of girls, at an unbelievably high level and parents do have limited opportunities to stop it. Child:- "Mummy/Daddy can you please buy me this?? 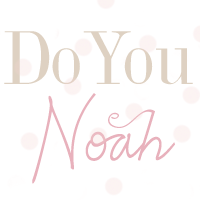 [insert celebrities name in here] has the exact same one! So do all my friends at school!